A popular range in Ladakh is Stok-Kangri. 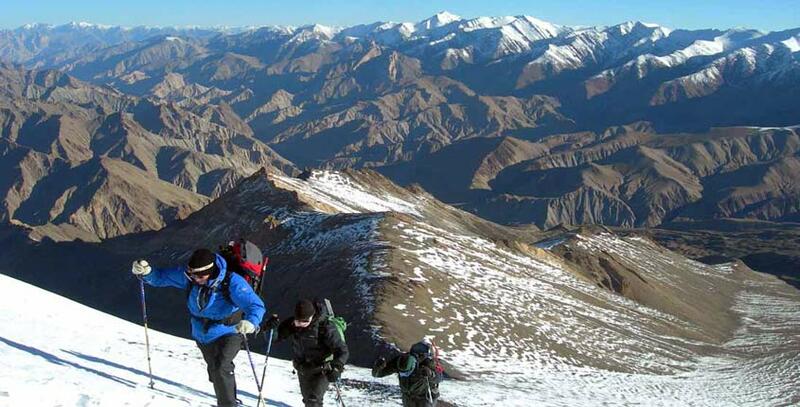 One of the scenic mountains in the world, Stok-Kangri offers utter tranquility to the hikers. The ascent of the peak challenges even the experienced climbers. Climbing is tiresome and requires great stamina both mentally and physically. Mountaineers must make sure to get acclimatized before opting for any mountaineering expeditions in Ladakh. 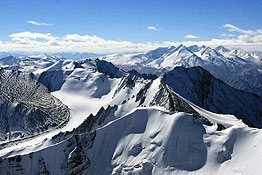 Nun Kun is another favored mountain massif for partaking in Ladakh mountaineering adventure tour. A pair of two peaks Nun and Kun, take the thrill of mountaineering to the next level. 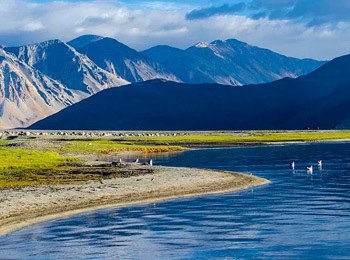 Nestled in the Zanskar ranges, Mount Nun is the highest mountain in the region. Unpredictable weather, glacial formations, vertical ice walls, icefall slopes add to the fun quotient. Lots of experience in mountain hiking is highly recommend before embarking on this astounding high-altitude expedition. Situated at the end of the Markha Valley, Kang Yatze is one of the best Places for Mountaineering in Leh Ladakh. There are town main summits, the higher eastern peak (Kang Yatze I) and the lower western peak (Kang Yatze II). Out of the two, the lower western peak is easier while the higher eastern peak is full of challenges. Chamser Kangri is quite simple and facilitates an easy climbing experience. Although easy, yet the peak poses a challenge for the mountaineers. The thin air prevailing at the area is a major barrier. Lungser Kangri is easy but a bit tough to walk up. Mountaineering in Ladakh becomes so much fun when it comes to traverse these two peak. The breathtaking views of the Changthang Plateau and Western Tibet render the mountaineers in a state of awe. 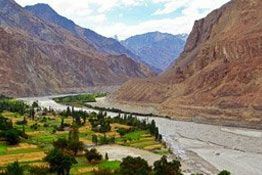 Markha Valley with Stok Kangri requires excellent climbing and mountaineering skills. Conquer many gorges, mustard fields and exotic bed of barley. Walk on the rocky tracks, narrow ridges and thick snow. The quintessential mountaineering adventure in Ladakh is not less exciting by any means. 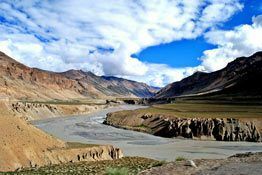 The mountaineering trail further probes into ethnic culture of the Indo-Tibetans residing in the remote villages cradled between steep and lofty ridges. 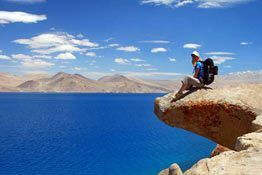 Another popular trail for mountaineering in Ladakh is from Rumtse to Tso Moriri Spangnak Ri. The thrill of hiking doubles as you get the bird’s eye view of nearby surroundings. Boast of reaching Tso Moriri, the largest highest altitude lake. The mountaineers will be crossing mountain passes, river crossings and barren lands. The stunning trail is simply matchless. Mountaineering in Ladakh can be better enjoyed in summer season. 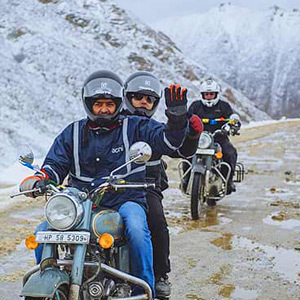 However, some of the daring souls also prefer to go for the nerve wrecking jaunt in winter as well. Hence, April to September is the best time for mountaineering in Ladakh. It is always better and advised to keep equipment needed for mountaineering in Ladakh handy. So, here is a checklist which can make your mountaineering experience an easier one. A permission from the Indian Mountaineering Foundation is required for Mountaineering in Ladakh. Depending upon the fame and height of the allotted peak, a specific fee is charged. A Liaison Officer is then appointed to each climbing team. Six months is the minimum period required for the processing of an application for permit. Adequate rescue coverage is provided to every authorized expedition in case of any illness of accident.